Vicki Tree Yoga | Warm Yoga, Spin, Wellness, Trail Running, Workshops, Positive Mental Health Presentations and Retreats all in Horseshoe Valley! Welcome to our website! My name is Virginia Gingras, founder of Vicki Tree Yoga & Wellness Inc., a wellness business that helps individuals reach their full potential. It is located at 53 Fairway Court in the Horseshoe Valley area. 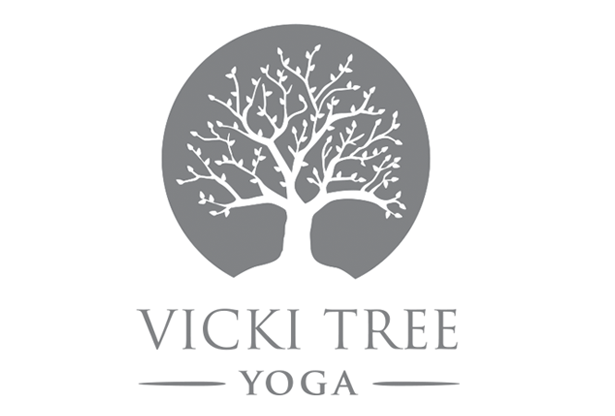 Vicki Tree offers warm Yoga in a spacious 12 person studio, Spin, Trail running, Body Sculpt, Positive Mental Health Presentations, Youth/Children Workshops and Adult Retreats in a spacious studio with a yoga room and spin room. The regular season for classes is September to March. From March on, there will be drop-in only sessions with a schedule releases each month. Trail running begins in May. Registration is open now! The drop-in REDUCED schedule for March/April is now out. Sign up for your class of choice by clicking on the link below. With over 15 years of experience as a veteran athlete, fitness instructor, high school teacher and motivational speaker, I strongly believe I have the background and expertise that enables me to ensure my clients’ goals are reached and their sweat-filled, stress-relieving adventures are nothing but FUN. This, coupled with my Yoga Alliance 200hr Certification and experience as a School Principal, makes me a well rounded wellness leader. My main goal is to ensure you learn how to enjoy exercise (as it is a gift), thrive by sweating out stress with others, utilize the great outdoors and reconnect with your goals to become a better you. Positive mental health is key to ensuring a fruitful life. Having suffered from an eating disorder and depression in the past, I know all too well how important it is to ensure our positive mental health gets the attention it deserves. SO – browse through my website and learn a bit about what I have to offer. I lead by example (check out the Virginia vs Bruce adventure tab) and practice what I preach. I do not believe in “instructing” but rather working together, joining your journey towards living a life of consistent “thriving”.